Ye Olde Green Wave Forum • View topic - Are folks still "done"? Post subject: Re: Are folks still "done"? Truth be told, I never left or gave up hope. I sure was p o'ed after the late late loss to SMU though. I think any fan who has sat thru el-fold-o seasons time and again can be forgiven a touch of despair now and again. Now, how's about a 6-game winning streak to end the 2018 season. Yup. Going to my 40th class reunion Friday. And now that I’m 2/3 done with this life before my dirt nap I know there are only so many chances to grab the brass ring. My FIL passed away 6 months before seeing his beloved Eagles win a Super Bowl and I’d rather we return to greatness before oatmeal is dribbling down my own chin. Like my signature says, I am a slow learner. TUPF, Not that I'm pushing you in that direction, but I thought Navy guys had water naps? Has Hollywood been deceiving me? P.S., There always is compromise here. Nelson's body was put in a cask of brandy after he died at Trafalgar. Is that the true meaning of a grog ration? I told my wife I want to be cremated then shot out of a torpedo tube submerged in the Narragansett Bay OPAREAs (about 200 miles out to sea from Long Island). She thinks I’m kidding. To answer your question, yes. I was "done" after the UAB game. Went to SMU game and left at half, because I could see what was about to happen. Then I went to Harrah's to play some cards. Walked through the entire place and not a single TV had the Tulane game on, not one! So I watched it on my phone as I played cards. I was too embarrassed to ask anyone to change a TV because I had a good feeling about what was about to happen. At that point I really asked myself about my "emotional investment." I'm done with the hype, talk, mascot changes, ticket price changes and all the other crap that has been sold to me as a result of the "culture change." I'm done with getting invested then getting crushed. The only culture change that is acceptable is CONSISTENT WINNING. Until that happens, I'm done with the emotional investment. 2 game win streak hasn't changed my "I'm done." We completed 4 passes for 61 yards, 39 yards of that was a quasi hail Mary. We will not beat a team that has a decent run defense because we can't throw the ball. Ever been to a Junior High Football game? We still have an amazing Junior High Offense! That has not changed. Doesn't mean I didn't enjoy the win yesterday. I just didn't jump back on the roller coaster. Doesn't mean I won't check scores and even go to the games. 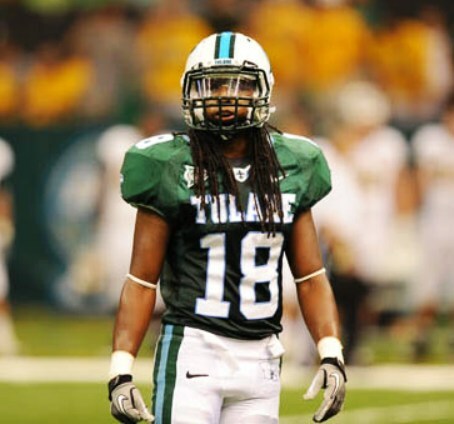 I want Tulane to be successful at football (and all sports for that matter). But I'm not setting myself up to be crushed again. I will use the tickets I have and go to a game or 2 and I'll watch. But the chances of me buying anymore at this point, is slim to none. I guess the best way to express it is that I have no expectations and I'm done having them. Am I still a fan, yes. Fanatic, no. One more way to describe it; I will watch, but I'm done participating. JtS still love you brother, but you asked! Where’s the emoji for “reluctantly agree”? I understand. Consistent winning has been elusive since my undergrad years 79-83. Sometimes it has been brutal. Notice I wrote - Even when our hearts have been perennially broken. It ain't easy being a Tulane Fan, as it was not easy being a Saints Fan for years. I know your thoughts are heartfelt. We can't lose good fans or any fans. What if we end the season on a 7-game winning streak? Would you come back next year to watch the reigning conference champion*, reigning (some bowl) champion? However, I'm done with having these types of delusional thoughts. We would almost assuredly lose money if we make a bowl game. Where has THIS TEAM been all year? I will admit that I gave up, so there, fry me all over this board if you wish. SMU just beat Houston, so that means that SMU and Tulane are one game out of first place in the division! Tulane is into November with a realistic shot at something. A piece of advice: do NOT ever bet on college football, period. Wow, regular font! What is happening? I'd consider it an "investment," not a "loss." A loss, maybe. How much would it be offset by additional contributions to the department/program, additional sales of apparel and collateral fan items? Probably not much. You can't buy the extra practices from the NCAA, though. It's hard to set a value for those. But the little blip of exposure and talking point for recruiting would be invaluable. Yes, this is all understood. I am wearing the Captain Obvious hat today. I will later be pointing out to me wife that it's dark when we take the dogs out for a walk. Don't overlook the recruiting bump and the follow-on fan buzz. It can positively impact future attendance and media coverage, as well. It helps to drag us out of the "not worth my time" bucket that keeps us off the media-coverage meter. Too many plus-side intangibles to consider it a "loss." Our performance last year led to a noticeable bump in the fall signing period, from selling kids we're building something. The first half of this year probably hurt that sales pitch and I suspect has more than a little to do with the overall level of recruits we currently have committed. But if we take care of business from here forward and end up bowling, we can sell that we were 7-5 or 6-6 and "only a couple of plays away from being 10-2, a couple of plays where having YOU, son, would have gotten us over that hump."